that is just a short mile away from my home. 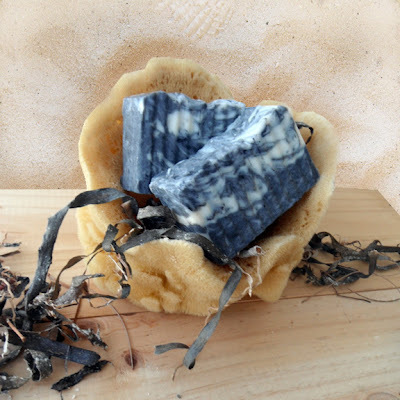 two bars of my handmade Seaweed Soap. What could be better than ingredients found in nature? and anti-oxidants for your skin. Ooooh, what a lovely giveaway, Paula! 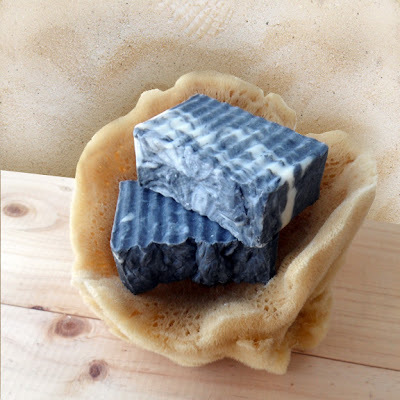 The ocean blue soaps look so pretty in that sponge! Your soap is amazing!!! My fingers are crossed! I hope I win! I missed you this past fall at a local show in Clearwater. I was hoping to see you and get some soaps. Thanks for the chance to win....love your soaps! I love handmade soaps and would love to win this!! Love your soaps,love your recipes! Wow, your soaps look amazing! I just found your blog. I am going to have fun looking around trying out some of your recipes. Would love a chance to win some beautiful looking bars. This is the first time I have been to your blog. It's wonderful! I am definitely going to put in an order. My 13-year old granddaughter has had problems with exzema since she was small, and I can't wait for her to try your soap. Thank you for the chance to win.